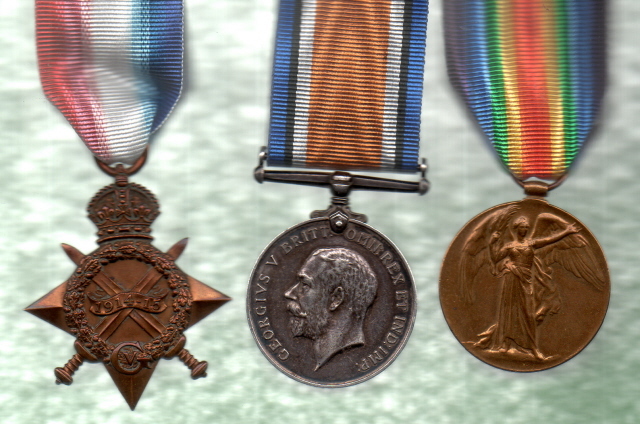 You Are Here / Home / Medals For Sale / WW1 Medal Groups / 1915 Trio to Morgan, Monmouthshire Regiment Entitled To S.W.B. 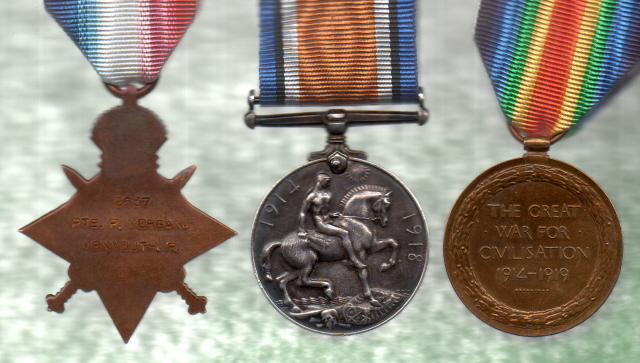 1915 Trio to Morgan, Monmouthshire Regiment Entitled To S.W.B. 2637 PTE. P. MORGAN. MONMOUTH. R.
Phillip served in the 2nd Battalion and was entitled to the Silver War Badge being discharged on 11.4.1917. Copy MiC and Rolls included.